If you were born in the '80s and raised in the '90s, you probably were one of the millions of kids across the U.S. who watched the Mighty Morphin' Power Rangers. As if the theme song was not awesomely nostalgic unto itself, one violinist has taken it upon herself to add some classic vibe to the rockin' anthem. 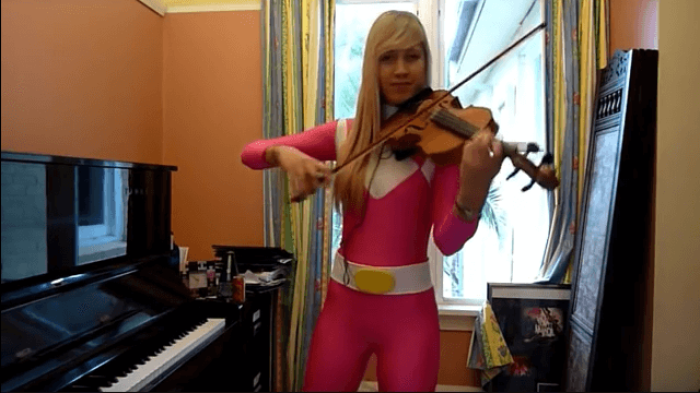 In a video posted to YouTube back in 2011, a violinist named Lara took to playing the Power Rangers' theme song with the stringed instrument in question. Wearing a very appropriate Pink Ranger outfit (minus the helmet of course), the talented young musician plays the theme with excellence. Want to hear your nostalgia mixed with some classical flair? Then check out this video that will transport you to the past faster than Zordon calling up the teenagers with attitude!